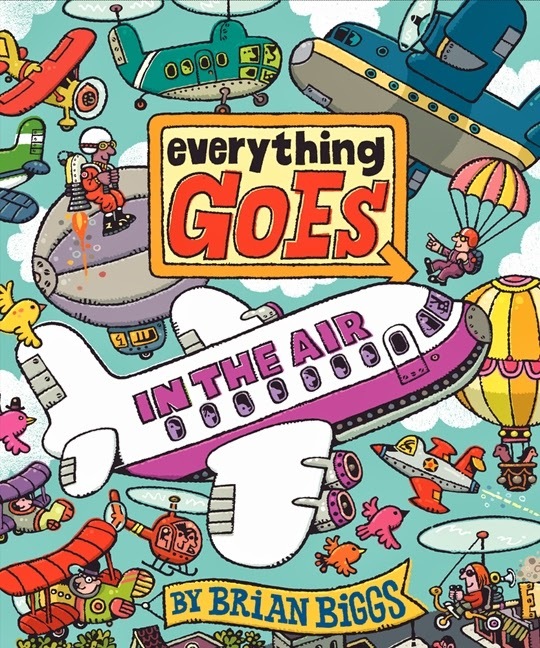 B and I discovered Everything Goes Up in the Air by Brian Biggs last week at the library and I can't wait to head out and buy our very own copy. What makes this book terrific? Entertaining illustrations, a handy primer on jet (and other aircraft) parts and fun seek-and-find activities (think sneaky babies, numbers and birds wearing hats). But what really captured my attention was the lighthearted, yet realistic take on the airport experience. How many other books show travelers removing their shoes to go through security? Not only will this book delight a well-traveled preschooler, it would make an excellent introduction to air travel for a child looking forward to his/her first airplane flight. What travel-related books for preschoolers made you think 'Wow! '?